When it comes to the bodybuilding community there are two types of guys – the ones who know, and the ones who don’t. The guys who know are the ones who make consistent gains, win competitions, earn sponsorship deals and make a living in the industry. The guys who don’t know are the ones who spend a fortune on useless products, never make any gains and blame their genetics. Whether your goal is to be the next Mr. Olympia or to lose your dad bod, it’s important to know the truth about bodybuilding. Check out our article below for 5 secrets that the pros haven’t told you about making gains. A lot of bodybuilder take pride in getting delayed onset muscle soreness, also known as DOMS. For those unfamiliar with the term, it’s basically the feeling you get the day after lifting where the target muscle is extremely sore. For example, having a hard time walking up and down stairs the day after squatting. A lot of guys think that because they got DOMS they also had a great workout and gains are sure to follow. As it turns out, that’s not the case. While getting DOMS from time to time is normal, we don’t recommend chasing that feeling as a market of whether or not your workout was a success. Studies show that DOMS does not necessarily mean you had a better workout compared with someone who did not have any delayed onset muscle soreness. In fact, in some cases DOMS can actually hurt your gains. If your muscles are sore for several days and it impacts your ability to work that muscle group again a few days later, your gains will definitely suffer. The occasional DOMS is nothing to worry about, but if you are getting it constantly and it impacts your workouts you need to make an adjustment. You are likely either training too long or you are not warming up properly. The only true indicator of gains is how you look in the mirror. For some reason people think that by training on an empty stomach they will burn more fat. As it turns out, multiple studies have shown that there is no benefit to training on an empty stomach vs. training after a meal. In fact, the reduced energy levels that come with fasted training tend to result in subpar workouts and may even increase the risk of going catabolic. While we all want to get rid of that stubborn body fat, the number one priority should always be to preserve as much muscle mass as possible. Having a meal before training isn’t hard – something as simple as a protein shake and a banana is enough to give you all the energy you need to get the most out of your training program. Stop asking everyone what their program is thinking that the best routine is a secret to uncover. The truth is that there is no single best program. Every bodybuilder is unique and responds differently to certain exercises. That means you need to figure out what works best for you. Also, it means that you can make gains on many different programs provided they are done properly. The truth is, most people don’t miss out on gains because they are on the wrong program. The reason they can’t build muscle is because they don’t train with intensity, they don’t consume enough calories and their hormone levels are out of balance. Start making the necessary changes, such as building a program (or copying one) that is structured around heavy compound movements. These will give you the best results in the shortest amount of time. For some reason, this idea got out there that you need to train for 12 reps on each set. People assume that this is the ideal number of reps to build muscle. The truth is that whether you train 3 sets of 12 or 6 sets of 6 reps, studies show there is little difference in results. In fact, given that most of you are trying to build up your strength and size, you would be better off incorporating more low rep training, particularly on the compound movements. 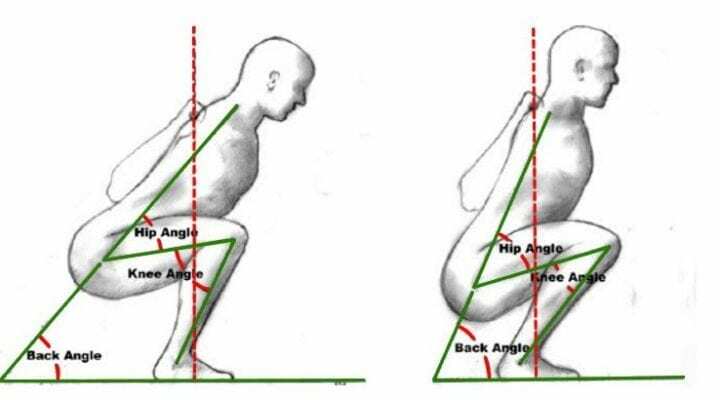 Performing 12 squats at a heavy weight can put a lot of strain on your body. However, performing 6 reps, even if at a higher weight, is much more reasonable. It’s not exactly a secret that all the top bodybuilders take steroids. Arnold has admitted to it and other, more current bodybuilders, have strongly hinted towards it. It’s still a bit of a taboo subject as guys want to give the impression that they are natural so their supplement company sponsors continue to pay them. The reason they take steroids is to alter their hormone levels in such a way as to maximize their gains. Testosterone levels play a crucial role in strength and muscle development as well as bodyfat levels. If your testosterone levels are high you will make much faster gains compared to a low-t guy – even if you consume an identical diet and train on the same program. Countless studies have shown that high testosterone levels are linked with muscular, shredded physiques. If you aren’t paying attention to your hormone levels, you are making a huge mistake. Now, we aren’t telling you to run out and use steroids. Obviously they come with a lot of side effects and risks. Instead, we recommend taking a natural testosterone boosting supplement. These products use natural ingredients that have been proven to boost testosterone production. As a result, you will make faster gains, put on less bodyfat and have higher energy levels. Best of all the gains you make will be permanent and you don’t have to worry about any long-term negative health impacts. Click here to check out our dedicated testosterone boosters page to learn more.